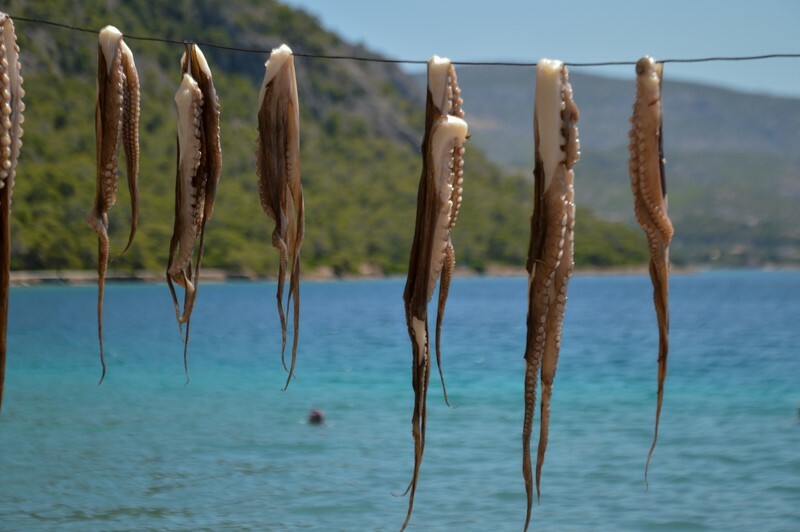 Loutraki… A Destination Full of Surprises! Idyllic locations, unique attractions, extreme adventures, incomparable venues and fun activities. An ideal year-round tourist destination! 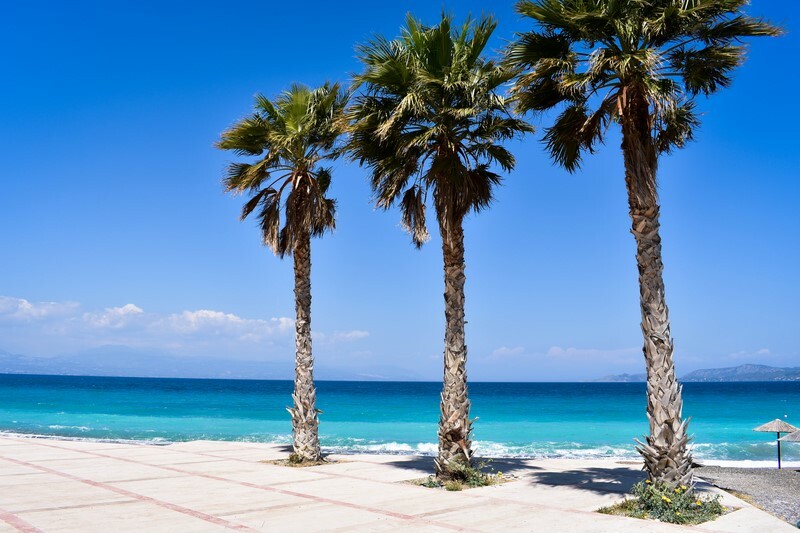 The combination of the suitable climatic conditions and the rare natural environment of Loutraki, creates a haven that provides limitless opportunities for summer and winter breaks. The temperate, mediterranean climate, the crystal – clear blue sea, the amazingly beautiful beaches surrounding the city and the rich pine forest of the Geraneia mountains that extend in the landscape, constitute a majestic scenery of beauty. Close Proximity to Athens & the Eleftherios Venizelos International airport (only 80 km away). Close Proximity to the most important archaeological sites of Central Greece (Acropolis, Epidaurus, Mycenae, Heraion, Sounio, Olympia, Delphi, Ancient Corinth, Mistras etc.). Natural Beauty: The mild mediterranean climate, the crystal clear waters, the beautiful beaches and the fascinating natural environment – the combination of sea and mountain. Significant tourist infrastructure that presents a total of 50 hotels & 8.000 beds, among which, the high quality 5 star hotels Club Hotel Loutraki & Poseidon Resort. The luxurious Loutraki Casino, the largest one in Europe, with gaming halls of 100 tables and 1000 slot machines, offering the most modern and exciting games. 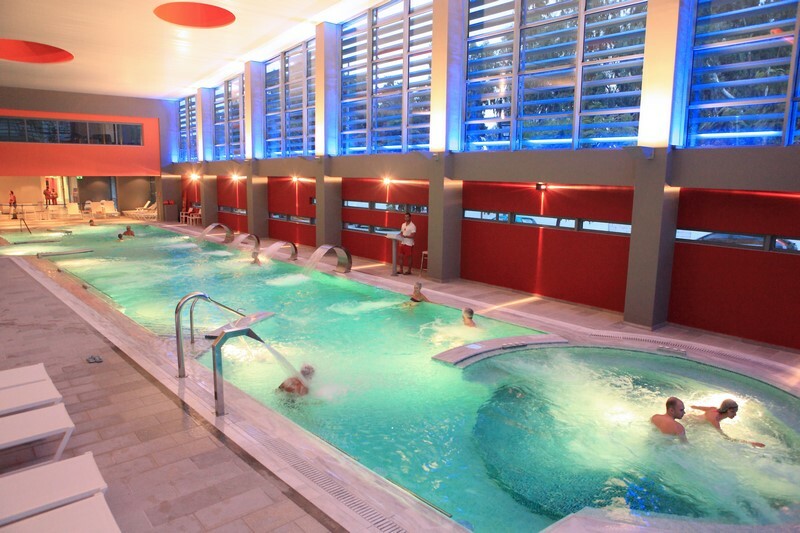 The Loutraki Municipal Thermal Spa, where visitors enjoy special treatments and the therapeutic abilities of the thermal water, that the ancient Greeks discovered 2.500 years ago. 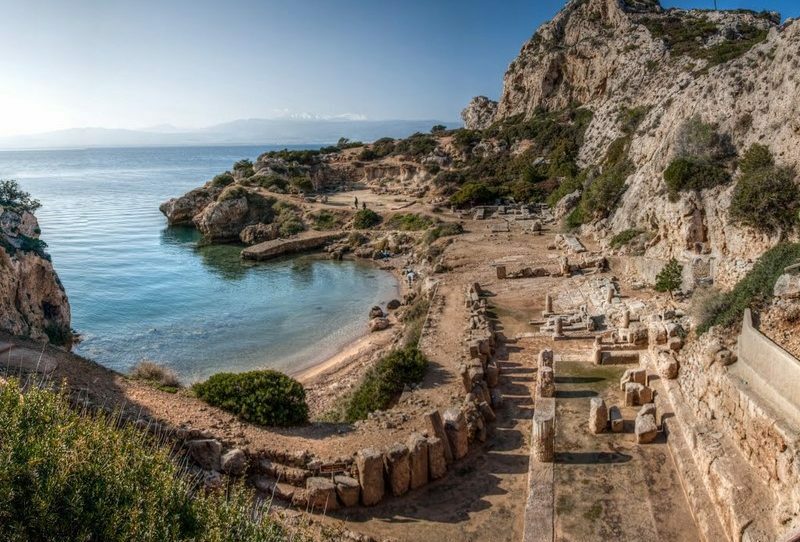 Located 14 km to the west is Lake Vouliagmeni, a small deep seawater bay that finds the Corinthian bay only through a narrow course, where one can notice, in a small scale, the water inflow and outflow caused by the tide effect. In this area is also located the archaeological site of the sanctuary of Hera and the lighthouse of Heraion , called Melagkavi , from where one can enjoy the magnificent natural landscape of the Corinthian Bay. 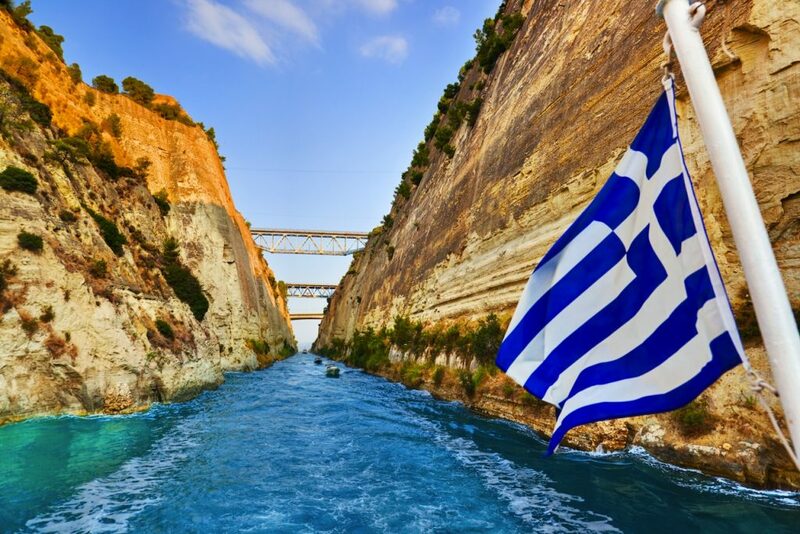 4 km to the south, heading to Corinth, is the Corinth Canal. There one can see up close one of the largest construction projects in the history of Greece, the Canal of Corinth, as well as to cross it. On the mount Gerania, just above Loutraki, is the monastery of St. Patapios, constructed in the 11th century. It is accessible by car and offers a spectacular view of Northern Peloponnese, the Corinth Canal and the Saronic Gulf. 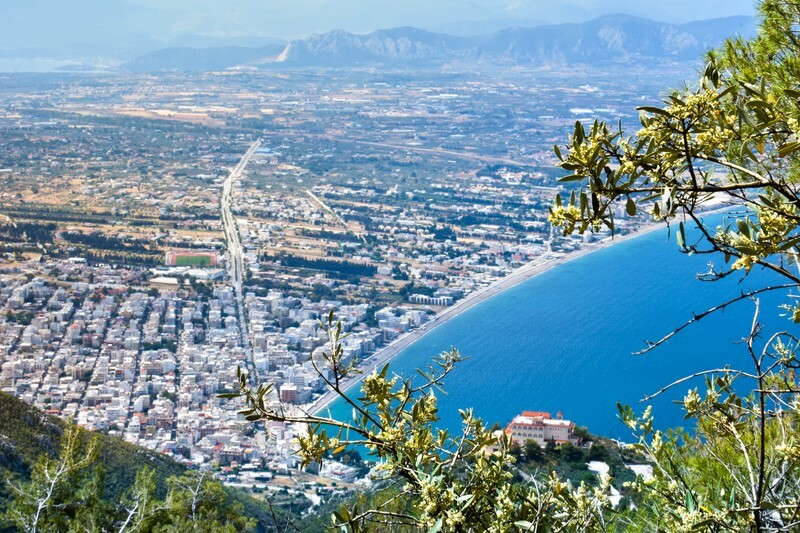 In a small distance from the town of Loutraki you can find other archaeological sites, such as Mycenae with the vaulted tombs, Epidaurus with its, famous for its acoustics, ancient theater, Ancient Corinth with its castle and Ancient Nemea , known in the ancient years for organizing great sport games. 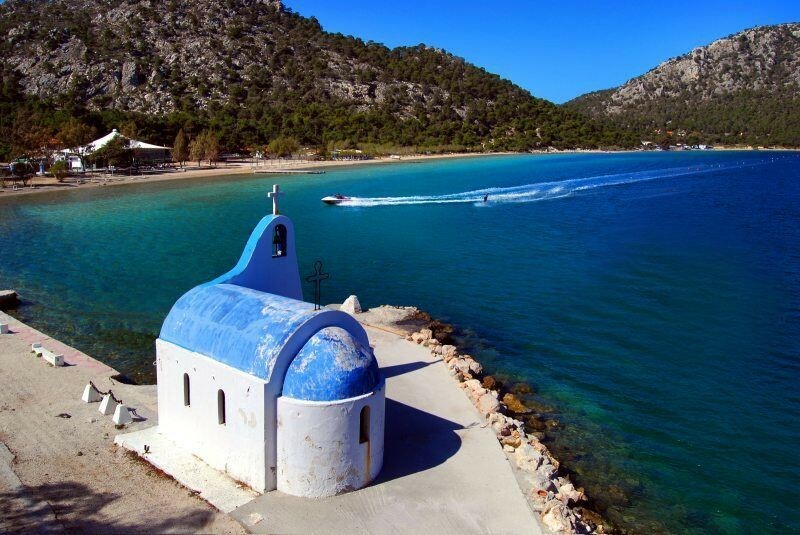 The town of Loutraki has a wide range of accommodation options, a wide list from luxurious 5 star hotels, to studios and apartments as well as camping sites in nature. 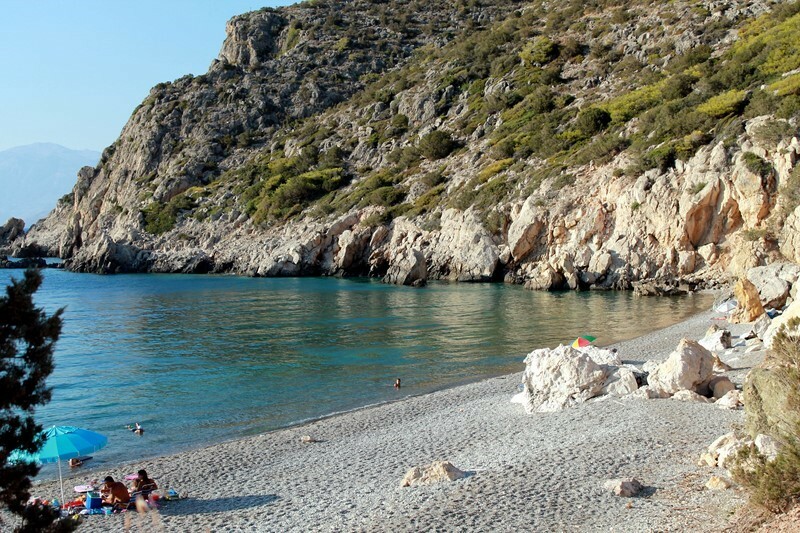 Loutraki has a cosmopolitan beach alongside the city. 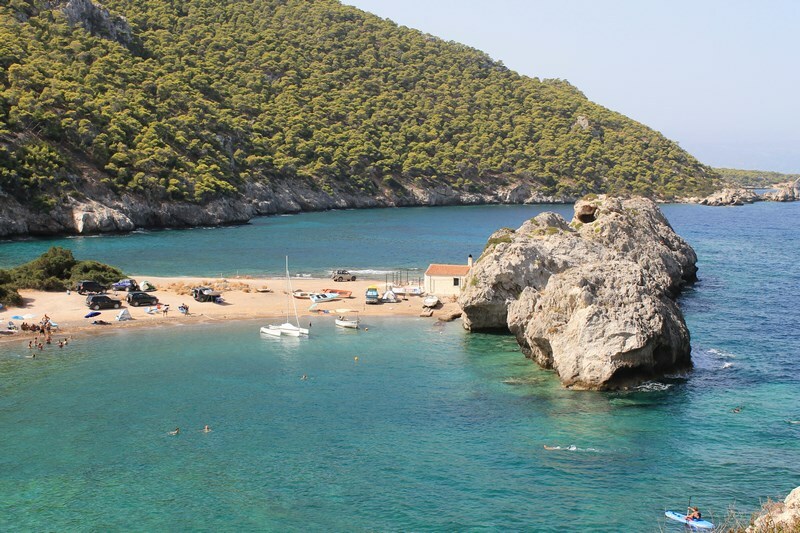 It is a 3.5 km beach starting from the Corinth Canal and ending at the seaside park of Loutraki. It consists of small pebbles and deepens quickly. Many cafes by the beach provide loungers and umbrellas charge free. The municipality ensures safe swimming by presenting the beach with lifeguards. All along the beach you can find showers, while the beach is also accessible to people with moving difficulties. 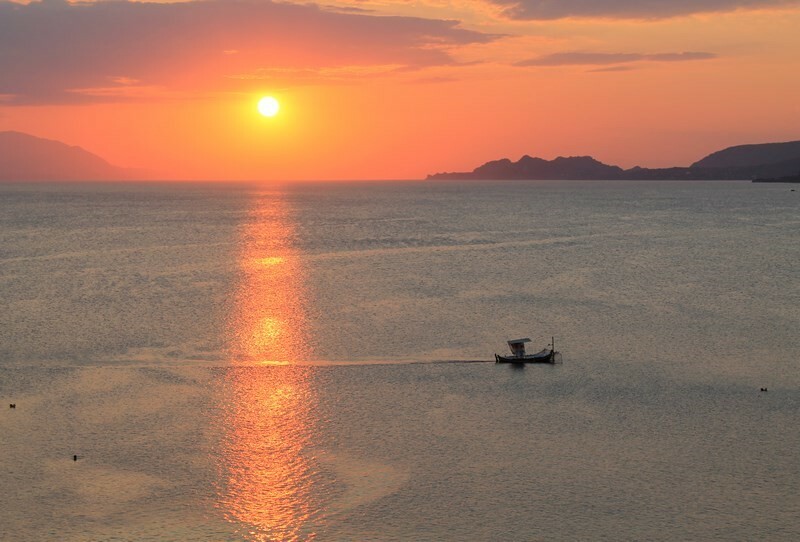 The beach is looking west, so one can enjoy the sunsets behind the coastline of Corinth on the one hand and the cape of Heraion on the other. In the area around the city of Loutraki there are many beaches in magical landscapes with clear water and quiet, as well as the beach of Lake Vouliagmeni, with seawater constantly getting refreshed through the small water course that connects the lake with the Corinthian Bay, where one can also engage in a variety of water sports. 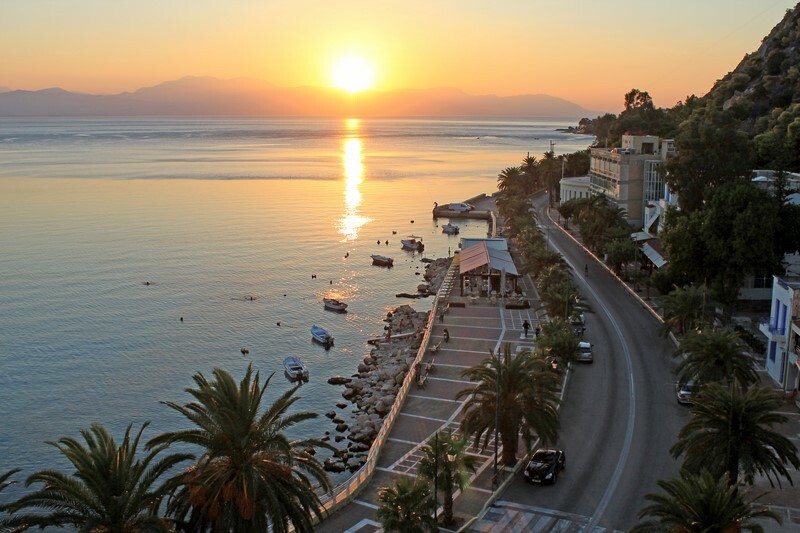 Restaurants and traditional taverns, fish taverns by the sea, luxurious restaurants, Modern Greek cuisine and bar restaurants and of course for dessert the city’s famous ice cream, are some of the options available in the city and the suburbs. The Club Hotel Casino Loutraki for game lovers, countless bars for all tastes and events such as theatrical plays, exhibitions, cultural events and street art festivals take place during the year all around the city!